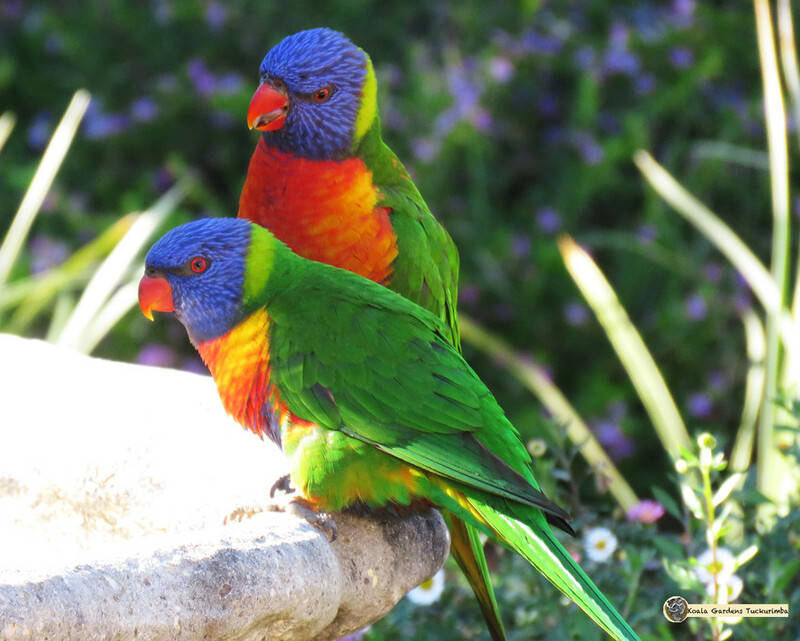 there is actually a huge range of wildlife here, I just don't always get to photograph and process the amazing variety of beauty here like the rainbow lorikeets - so vivid! Awesome colors on those beautiful birds. Great shot. These birds are so beautiful! They are vivid. Great shot. Wow, cool looking birds. Great capture. Lorikeets are so pretty, and this is a great shot. Gorgeous birds, what vivid colors. The one in the background seems to be eyeing the one in the front and talking with a stern voice to it.